What do you understand by the term TestNG? A testing framework that is developed in the same lines of JUnit ans NUnit is known as TestNG. 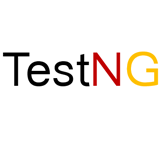 TestNG is made more powerful and easier by some of the functionalities introduced by TestNG. All the varieties of tests like unit, functional, end-o-end, integration are covered by TestNG. JDK 5 or higher is required to run the TestNG. This tutorial provides an understanding of the concept of TestNG framework that is required for testing the enterprise level application and for its robust and reliable delivery. Who are the audience for learning the concept of TestNG? This tutorial is mainly targeted for the software professionals who desire to learn the features of TestNG Framework and its practical implementation in simple and easy steps. What are the prerequisites required for learning TestNG? Good knowledge and understanding of Java Programming language, text editor and programs execution is essential for understanding the concept of TestNG. Also knowledge and understanding of Software development and software testing enables to better understand the concept of TestNG.